Almost every client that has ever worked with us at SalesSPACE has expressed a desire to make sales conversations as natural and stress free as possible. Is that you too? Your mental state during a sales conversation has a major bearing on the outcome – whether you win or lose the sale. No matter if you are a seasoned sales professional or you are a professional service provider who wishes they never had to sell, preparation is the key to staying in the Yes Zone. The correct preparation will not only have you turning up in the right frame of mind, it allows you to handle any situation (that might otherwise derail you) you with confidence and ease. 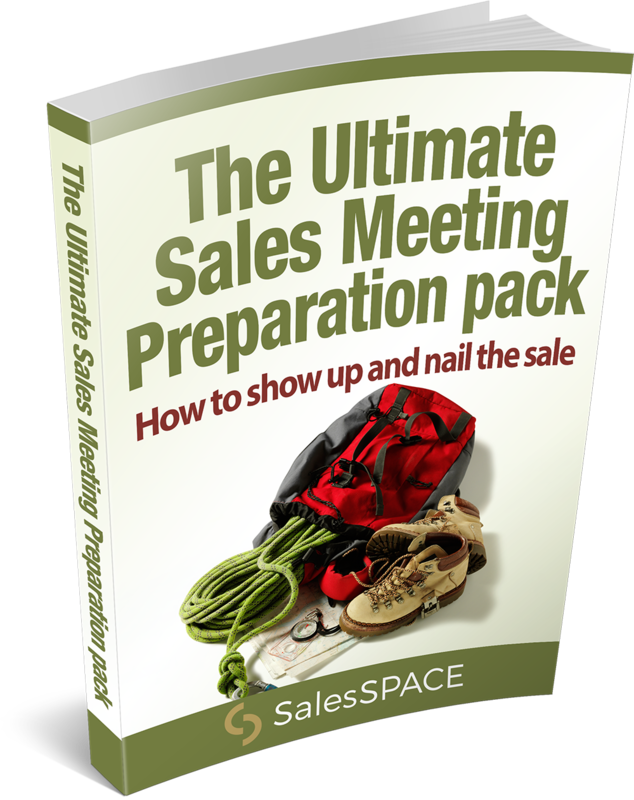 Download this free eBook today to find out how to avoid making the biggest mistake in sales – walking into a sales meeting unprepared. The effect of not being adequately prepared for sales conversations is devastating to sales results. Download this free eBook today to find out more.